Thanks to Sherry Hocking at the Experimental Television Center for including work by David Fodel and myself in their new DVD anthology. It’s an honor to be included in this collection with such amazing artists. The massive 19 hour collection can be purchased through Electronic Arts Intermix. 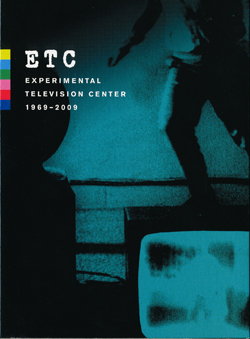 ETC: Experimental Television Center 1969-2009 is a groundbreaking compilation of electronic media work by 100 artists who have worked in the Center’s Residency Program during the last 40 years. 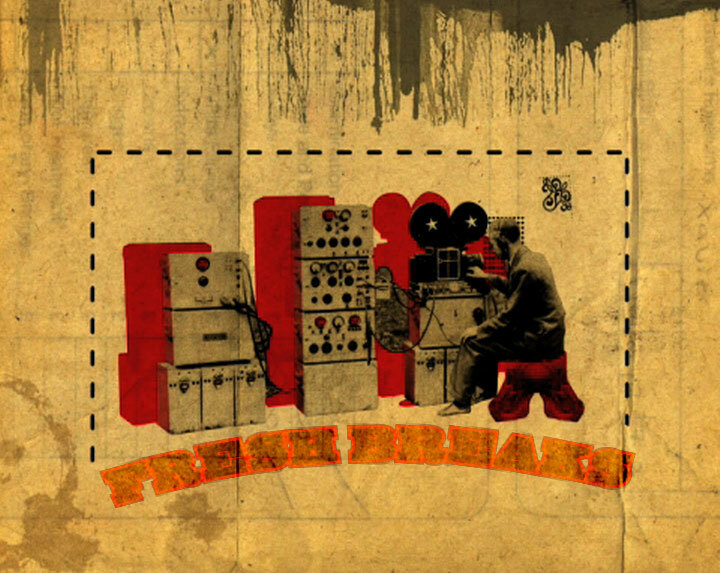 Fresh Breaks is the debut album from UK audiovisual specialists Exceeda. An original mix of danceable breaks, computer animations and sample based video-cut-up perfectly synced and fused in idiosyncratic style. 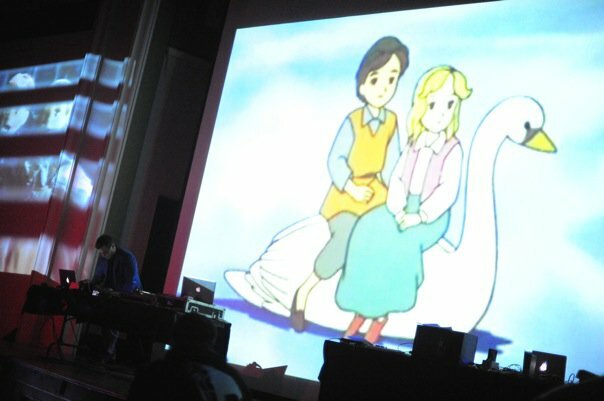 Combining rhythmic audio waves with archive film imagery to a finely tuned entertainment experience. Guest remixes are supplied by such notable names as Two Long Peoples, Max Cole, A Guy Called Gerald and Ben Simms. 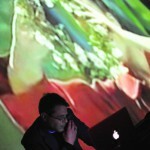 Other special features include; Bonus tracks, audiovisual sample loops, MP3 audio and hidden extras! Thanks to everyone for a great event! And thanks to all the reddit.com users that have been using the site! More adventures in user generated content. This doubler went viral this week (14 Dec 09) – many wykops to the friendly folks at wykop.pl! MeatWater™ – Look good. Feel Good. Do Good. 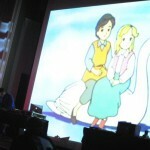 Go For Launch is a large scale 12 screen interactive video art installation. 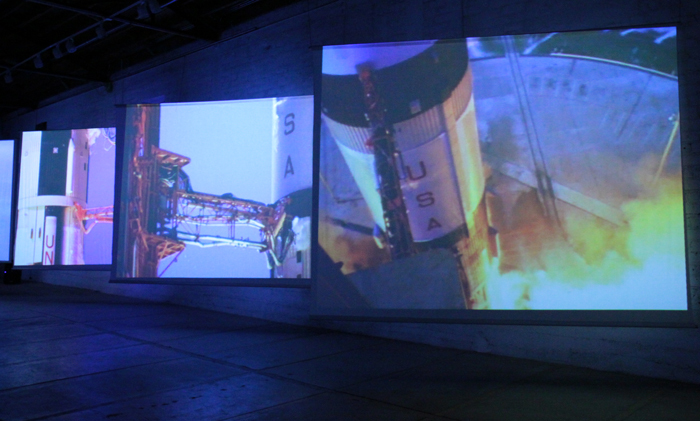 The artistic recreation of an Apollo Saturn 1B launch uses authentic archival NASA audio and video footage to simulate the explosive power and emotion of one of humanity’s greatest achievements. It is a monument to the success of the past and a challenge to the present generation. 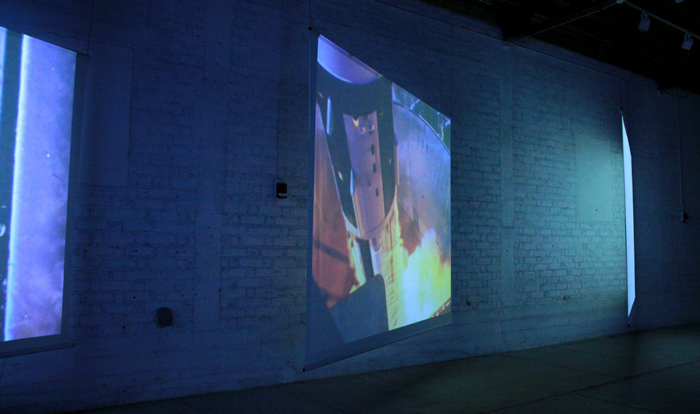 Special thanks to everyone at the Santa Fe Center for Contemporary Arts who helped make Go For Launch a big success. 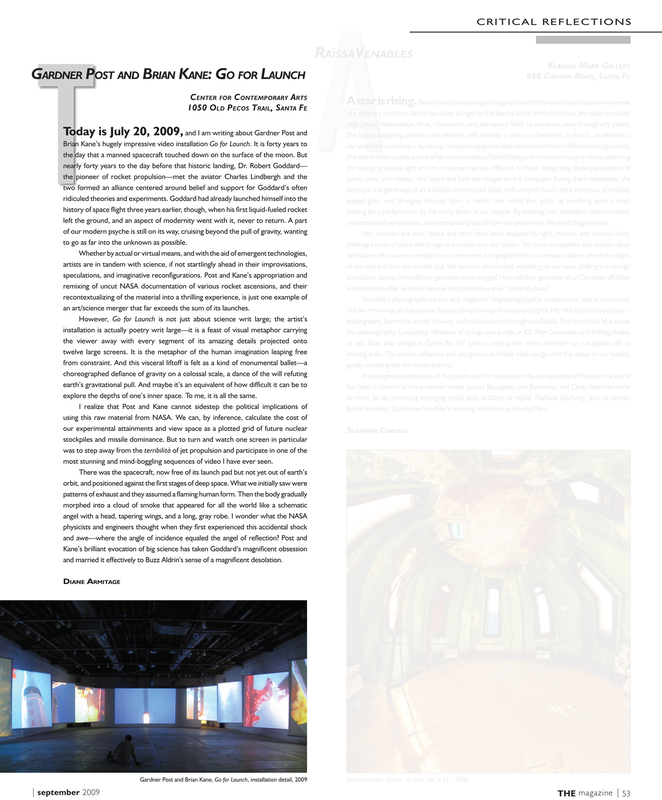 Gardner Post and I will be presenting a new 12 screen video installation piece, Go For Launch, a Celebration of Power, at the Center For Contemporary Arts in Santa Fe. Listen to the KSFR radio interview from Santa Fe Radio Cafe from Tuesday, May 5, 2009. 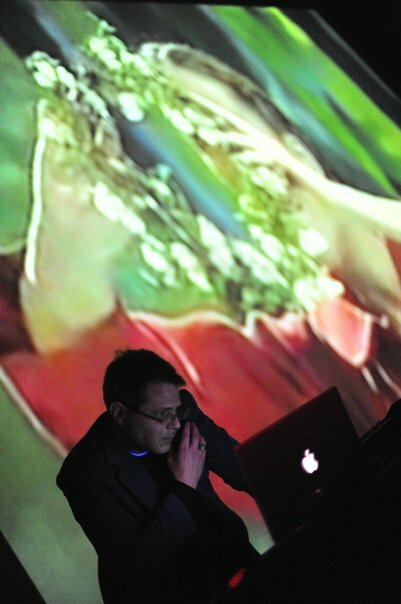 Gardner Post and Brian Kane are artists working with video and emerging technologies in large-scale performance oriented installation and media-activism. 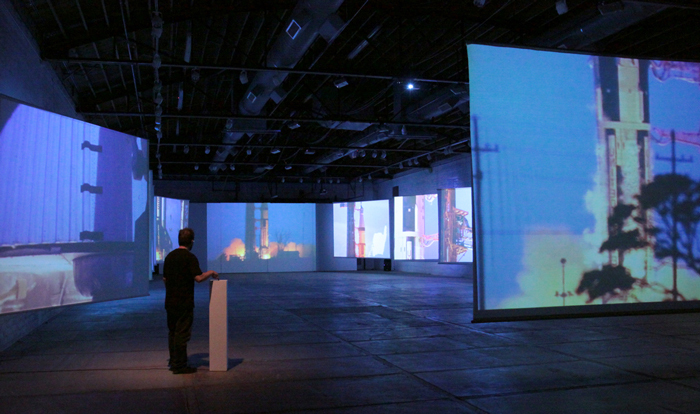 Their new work at Munoz Waxman will include an interactive installation using original uncut NASA footage from the first space missions. 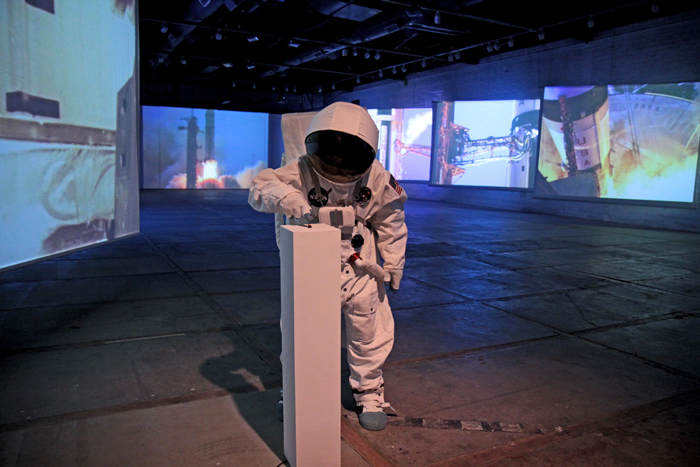 It is a commentary on the Space Race, and the competition to land on the moon that was a product of the Cold War, technological superiority, and the real fear on both sides that the other might place weapons of mass destruction in space, all issues that are particularly relevant to both the region and the current political climate.